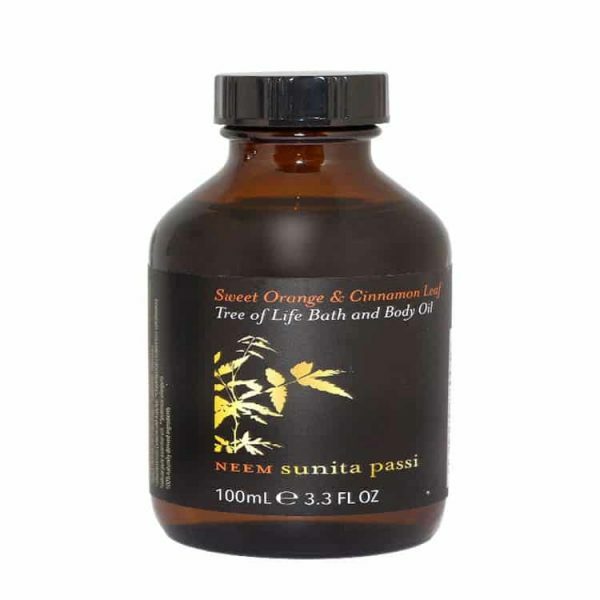 Tri-Dosha Ayurvedic Rejuvenating Neem Oil for Bath and Body. A cure for all, made with neem oil and stacked full of therapeutic herbs including sandalwood to ease aches and pains, kick start circulation and deliver all round body rejuvenation. Active ingredients: Sweet Orange & Cinnamon Leaf. Discover a cure-for-all in a bottle. Bolstering neem oil, this bath and body oil is stacked with 43 herbs including clove to ease aches and pains, guggla to kick start your circulation and shatavari, which delivers all round body rejuvenation.